We are a leading Manufacturer of humic acid, humic acid 95%, mix micronutrient liquid, thimethoxam 25% wg and bio organic zyme from Rajkot, India. We are offering a quality assured collection of Humicare Fertilizer. Offered product is formulated in line with industry quality standards using optimum quality ingredients. These products can be used directly as foliar Fertilizer and widely demanded and appreciated across the market for their effective results. In addition to this, the offered product is inspected on parameters of quality to ensure its effectiveness and quality. 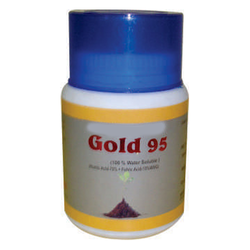 Backed by our experience in this domain, we are presenting the wide array of Gold 95 Fertilizer to our valuable clients. The offered range is precisely formulated using pure ingredients and sophisticated technology in adherence to industry defined quality standards. In addition to this, this helps in aeration of the soil which in turn improves water retention. 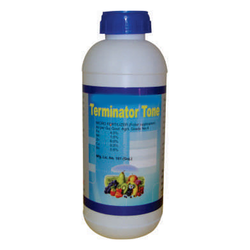 We are among the leading organizations in the industry for offering an extensive array of Terminator Tone Fertilizer to our esteemed clients. These products are prepared using only quality tested ingredients. 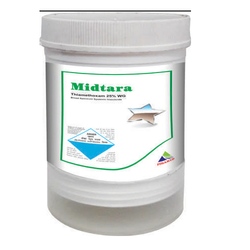 The offered assortment of product is highly acclaimed in farming industries for controlling pests in various plants. Apart from this, we are providing these products at leading market prices. Over the years of dedication, we have been a prominent manufacturer of Gold Zyme Plus to our widely scattered clients. It is a fertilizer used to promote plant growth. This is precisely composed using utmost quality components and advanced machinery at our unit under the strict supervision of professionals. Seaweed Extract is hence appreciated for its quality, reliability, precise composition, effectiveness, and safe consumption. We offer this to our clients at highly competitive prices in the market and strive to deliver on time.